If you’ve been hurt on the job in New York, you have a right to seek workers’ compensation benefits. Your employer—and your employer’s workers’ compensation insurance provider—have an incentive to minimize the amount paid out or even deny your claim outright. The more claims your employer incurs, the higher the workers’ compensation insurance premiums they’ll face. And the payment of any claim reduces goes directly to the bottom line for the insurance company, reducing their profits. So you can expect that your employer and the insurer will engage in tactics to try to diminish your claim. One of the common approaches used by workers’ compensation insurers is to employ an investigator to either film you without your knowledge, or to confront you on camera to try to bring your claim into question. The investigator may set you up by asking you loaded questions, or may try to get you to do things that might affect your credibility. That’s why it’s so important to have effective and aggressive legal counsel. An experienced attorney can ensure that workers’ compensation judges have accurate information about your injury and that any attempts to mislead the workers’ compensation judges are made clear. Here’s a brief example, based on a case we handled. Our client had worked as a maid and had suffered an injury on the job. The workers’ compensation insurance company sent an investigator to follow her (without her knowledge). He filmed her going into the same house on numerous occasions, a house in a part of town where the woman did not live. He then prepared a report, contending that she was providing maid services to the house and alleging that her workers’ compensation claim was fabricated. The investigator also confronted her on a couple of occasions, barking questions at her (that she did not understand, as she was not a native speaker). 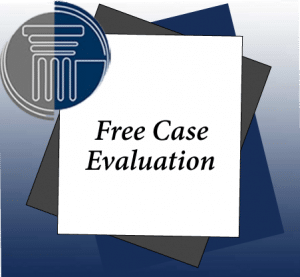 When the woman’s case went before the workers’ compensation court, we were able to show that the house she was visiting was that of a friend, and that the investigator had wrongfully intimidated her with his questioning. She received full benefits for her injury.